By now we’ve all seen the ‘Three Fives’ kit from Evil Mad Scientist, a very large clone of the 555 timer built from individual transistors and resistors. You can do a lot more in the analog world with discrete parts, and [Shane]’s SevenFortyFun is no exception: it’s a kit with a board, transistors, and resistors making a very large clone of the classic 741 op-amp, with all the parts laid bard instead of encapsulated in a brick of plastic. 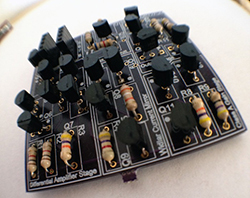 [Shane] was inspired by the analog greats – [Bob Pease], [Jim Williams], and of course [Bob Widlar], and short of mowing his lawn with goats, the easiest way to get a feel for analog design was to build some analog circuits out of individual components. [Shane] has a few more kits in mind: a linear dropout and switching regulators are on the top of the list, as is something like the Three Fives kit, likely to be used to blink giant LEDs. 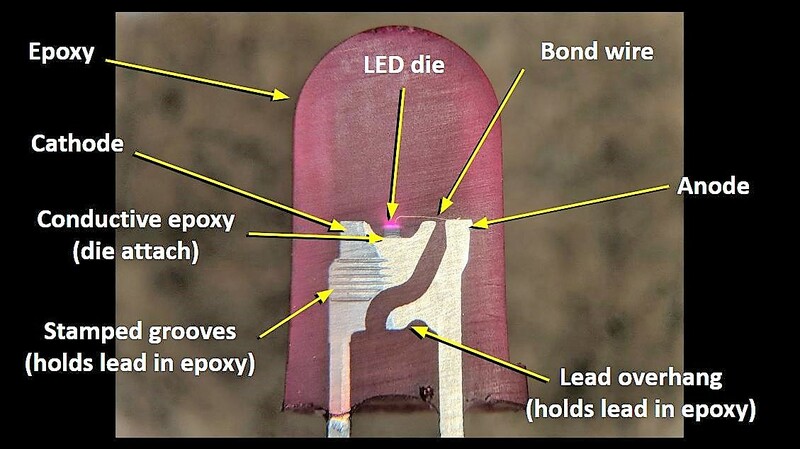 If you’ve spent any time at all laying out your own circuit boards we’re sure you’ve run into the issue of not having the right component or package available in the standard libraries. If it’s a common part, chances are the symbol definition will be there. But perhaps the footprint you want to use is missing? 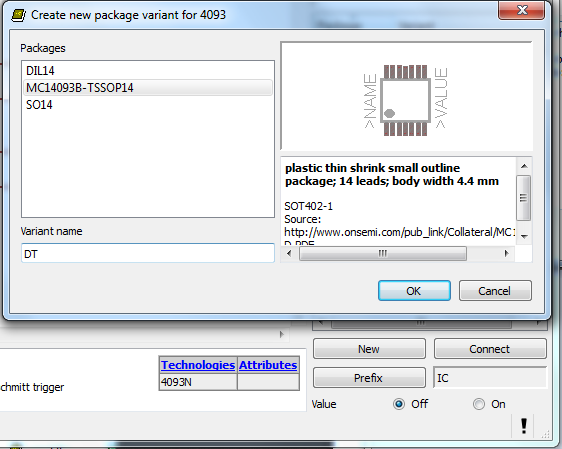 Here’s an easy to follow tutorial which demonstrates how to assign new packages to existing Eagle PCB components. It even shows the basics of how to tweak the footprint to fit your needs (like making SMD footprints easier to hand solder). This will not teach you how to make your own custom symbols, or how to build packages from scratch. But it will let you locate the package you want to use from a different component, then copy it to your own library for use with different parts. And the techniques shown make this a quick and relatively painless process. We certainly don’t want to start another comment quagmire like the recent PIC v. AVR discussion. But we’ve used both Kicad and Eagle rather extensively and feel that neither one has really mastered part/footprint creation in a user-friendly way. We like Kicad’s total separation of footprints from components, and it’s myriad of parameters which can be used to tweak the layout. But if you use the same components frequently, Eagle’s standard of linking parts and footprints does end up saving a lot of time. What do you think? If you’re a home hardware hacker in the United States, chances are most of your electrical components come from Mouser or Digikey, your hardware and tools from Grainger, and your raw materials from McMaster-Carr. This setup is great – we’d hate to locally source parts for a robot – but organizing larger orders can be a bit of a pain. Enter Amazon Supply, the new place to buy business and industrial equipment. Right now the selection is a little thin, but if you’re looking for a single place to buy a quality soldering iron, a 0.005″ endmill or a set of brass balls, now you’ve got a one stop shop with the insanely fast shipping Amazon has won our hearts with. While Amazon Supply isn’t selling even the most basic electrical component, the service was just launched, and if there’s a market, [Bezos] will go after it. Time will tell if our beloved vendors have a serious competitor on their hands. Thanks [Vasili] for sending this in.